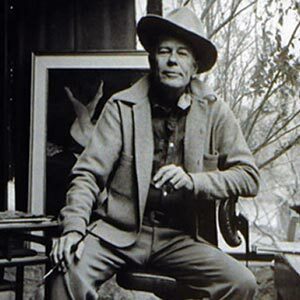 Philip Campbell Curtis was born on May 26, 1907 in Jackson, Michigan. He received a B.A. from Albion College where he had his first contact with painting. He began to study law at the University of Michigan but he truly wanted to pursue art and enrolled at the School of Fine Arts at Yale University. After graduation in 1936 he became an Assistant Supervisor of Mural Paintings for the WPA in New York and the following year the WPA sent him to Phoenix to establish the Phoenix Art Center which later became the Phoenix Art Museum. In 1939 he was sent to Des Moines, Iowa to assist in starting the Des Moines Arts Center also under the WPA Federal Arts Project. He began Museum Studies at Harvard University in 1941 intending to prepare for museum work. His schooling was interrupted by World War II service with the Office of Strategic Services in Washington, D.C. In 1947 he returned to Arizona and settled in Scottsdale to begin his life as an artist. In 1949 he had a solo exhibition at the San Francisco Museum of Art and at the Civic Drama Festival Playhouse in Phoenix. He then went on to show in New York City and Denver, and Ohio. In 1961 the Curtis Trust was formed by Lewis J. Ruskin and a group of nine other patrons from Phoenix to provide financial support for Curtis allowing him to focus on painting for three years. This allowed him to create a body of work that was exhibited all over the United States and internationally. In 1981, a permanent exhibition of Curtis’s work opened at the Phoenix Art Museum. In 1999 construction began for the Ullman Center for the Art of Philip C. Curtis at the Phoenix Art Museum. Philip C. Curtis passed away at this home and studio in Scottsdale November 12, 2000. The Ullman Center for the Art of Philip C. Curtis opened in 2001. Please click here to view the full chronology and click here for the bibliography.